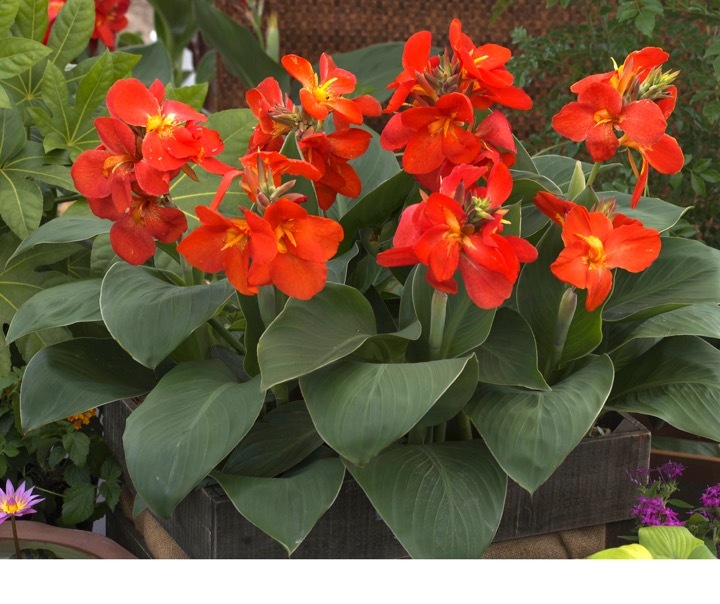 John: In regards to canna lilies, after cutting off the stalks, do I leave the tubers in the ground for a few weeks like I do with dahlias? Doug: You can pull them after cutting the stalks. We leave the dahlias in the ground a couple of weeks so they form eyes. You don’t have to worry about that with cannas. Kimberly: A friend gave me two small elephant ears. They are in the basement drying up. Never thought about it as a houseplant. At this point, should I let them stay dry for spring or hurry up and put them in a pot? Doug: It’s up to you. If you do decide to store them, put them in something like vermiculite just so they don’t get too dry. I love them as houseplants. I’ve got a huge one that I used to take in and out. Now I just leave it inside year round and it’s happy. Liz: Can I plant daffodils with my garlic? Doug: They both can be planted at the same time. If you want them in the same bed, just give them enough space to do their thing. You’ll be pulling the garlic in July and the daffs will stay. Holly: When is the best time to cover the potted perennials with burlap for winter? Doug: I don’t like to cover them with something like that. You can mulch them once the foliage dies back. I do use burlap around some shrubs like hydrangeas as a windbreak, hopefully to keep the buds from freezing in the winter. Dan: I was wondering if I could save an orchid I transplanted but didn’t like the new pot and lost all its leaves. There are still small air roots. Do you use organic indoor year round or just certain times of the year? Doug: When you transplanted, did you put the plant into an orchid mix as opposed to a standard planting mix? Orchids need drainage and don’t like to be over-watered. Get a feel for how much moisture is in the mix by lifting the pot. The plant needs water, but not a lot. There’s no reason to fertilize until we get to the other side of the season, late February or March. Yes, I always use organic methods, inside or outside.